Start your family history by searching these essential records. When you're just starting to trace your family history it can be intimidating trying to decide which records to search first, and just diving in can cause chaos in your research. Generally, it's a good idea to pick one specific record set to search before moving to another so that you're keeping track and control of your research. It's much simpler to stay organised and manage your research when handling one record set at a time. Plus, searching individual record sets yield better search results. Census records are essential to genealogy research because they can indicate family relationships, reveal vital details about your ancestor's life, and they were required by the government, so it is very unlikely that your ancestor would be missing from the census (although this does happen). Full UK censuses 1841-1911 are available to search on Findmypast, so you can easily pinpoint family members over decades and generations. Since census records contain household information, exploring them is a great way to see who is related to who, learn vital information such as birth and death years and find out where they lived. But if you think the census records are just for beginners, think again. It's always a good idea to revisit census records as you uncover more about your family history because there are mistakes recorded and you never want to rely on a single source for confirming facts about your family. Birth records are essential for genealogy research because they cover one of the key life events in any family and provide helpful information to take your research back further. Birth records are often primary sources, sources that were created at the time of the event, so they are solid sources for your research. Having these solid sources is essential so that you have a basis and a framework for verifying information in your search. Typically, a birth or baptism record will give you information on your ancestor's name, both of their parents' names and where the family were living. Marriage records are a great place to search early on in your family research because they provide basic but vital information on your ancestor and their family members. A marriage record will likely give you two sets of information, one for the bride and one for the groom, which may all contain details on each side of the family, revealing maiden names and family relationships you may not have uncovered in other records you've searched. With over 980 million marriage records, Findmypast is the perfect place to search for your family's nuptials. We're regularly adding to our marriage collection too, so if you don't come up with any results in your first search, be sure to check back later to see if we've added what you're looking for. Death records are similar to birth records in that they record a major life event and include helpful information about your family members to dig deeper into your research. 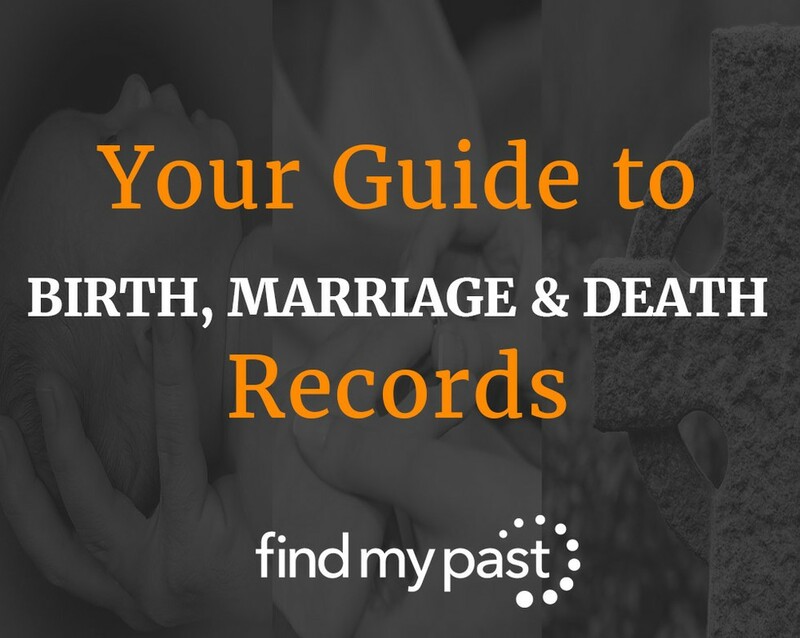 Death records are also great signposts for your research because they will help you develop a clear timeline and evaluate family relationships based on the information provided in the death records. It is essential to search for death records early in your research because death records are the most recent records for the ancestor you're tracing. Remember, it's always best to start with the most recent records and move backward from there. Starting with these four record collections will provide you with those key details to help you create clearer, more organised timelines as your genealogy research progresses. They also often lead you to other avenues of research, helping you learn even more about your ancestors and bring their story to life.